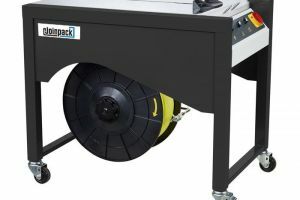 The PYY2 semi-automatic strapping machine is a must have for any warehouse. It can quickly bundle cartons, reinforce cartons and bail products together. 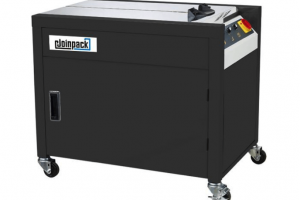 The XS-1000 Semi-Automatic Strapping Machine is a must have for any distribution warehouse. The XS-1000 will swiftly bundle and reinforce cartons, by baling the products together. The XS-1000 Semi-Automatic Strapping Machine is a must have for any distribution warehouse. The XS-1000A will swiftly bundle and reinforce cartons, by baling the products together. 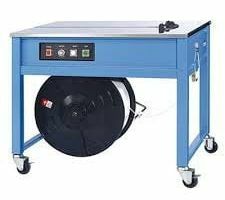 The XS-1200 is a new model DC Direct drive strapping machine which features an electronic controller for accurate tension adjustment. This model has an enclosed frame.